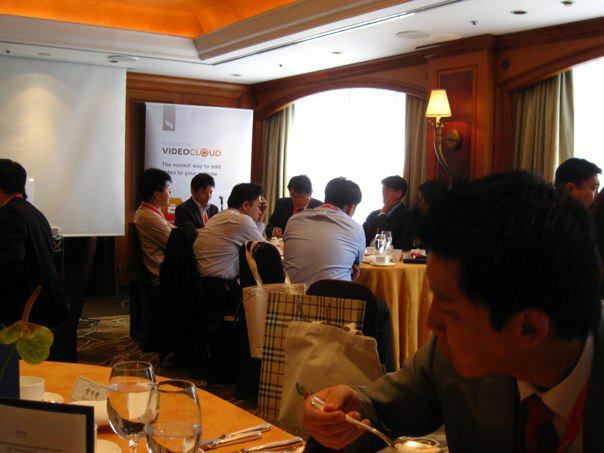 On the 22nd of September 2011(Thursday), Brightcove Korea hosted an exclusive luncheon to key media executives in Seoul. This was held at Millenium Seoul Hilton where nearly 30 senior executives came together to network and learn from Brightcove on how Media companies can "Leverage Video Cloud for Competitive Advantage". 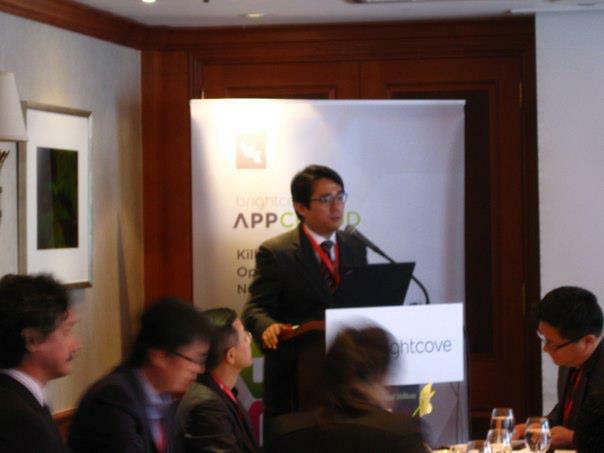 Dennis Rose, Vice President of Asia Pacific, welcome the delegates and shared how Brightcove Korea has grown tremendously since our launch in November 2010, in terms of customers, and the size of our Korean team. Devices - How are leading media companies delivering consistent, cross-platform video experiences across the PC Web, smartphones, tablets, and connected TVs. Online Video Platform - the smarter approach as it ensures faster time to market, increased operational efficiency and fast return on investment as compared to a Do-It-Youself (DIY) option. Social Media - leveraging social media with video to drive traffic and increase audience engagement. Monetization - how to create innovative revenue opportunities with tier advertising. Many of the senior executives appreciated that it was a by-invitation only event, and communicated openly their vision and challenges. Senior executives from media conglomerates such as Maeil Economic Daily, CJ E&M, Donga lunched with counterparts from Kayamedia, HEM, Danawa who are magazine and publishing giants. Brightcove weighed in on the lunch conversations with sound advice on best practices while sharing our experiences globally. It was time well spent for the senior executives. Globally, Korea is a leader in both internet bandwidth speed and household internet penetration. With such strong infrastructural support, media companies in Korea are at a precipe of moving from exciting conversations to actual business implementations. It will be exciting to see how this develops and Brightcove Korea will be there with the pioneers, helping them navigate their way.